On display in the National Museum of Scotland, Edinburgh. 29 strings, longest 61cm, one extra bass string added later. 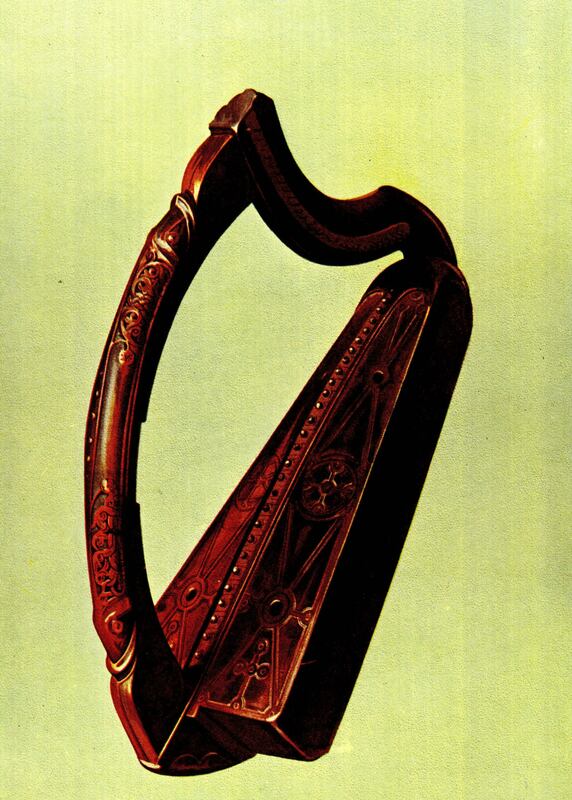 The Queen Mary harp is the smallest and the best-preserved of the old harps. It is also one of the oldest. It was very well described and illustrated in 1904 by R.B. Armstrong, and it has recently been studied in much more detail by Karen Loomis; her article in Galpin Society Journal LXV, March 2012, includes a photo of the harp, a number of interesting cross-section and interior views from CT scans, a contour map of the soundboard, and description and commentary of the design and construction of the harp. For the fullest accountof the Queen Mary harp, you can download her PhD thesis from the University of Edinburgh. 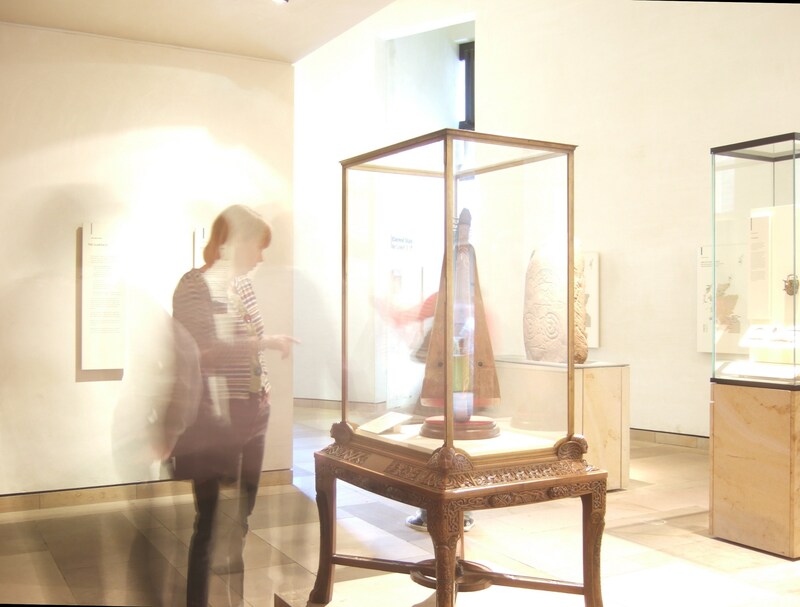 Now you can “virtually” visit the National Museum of Scotland to see the harp! My booklet, The Queen Mary harp reprints the text and old illustrations from these pages in a handy little book form. First published here 26th November 2004, last updated March 2018.